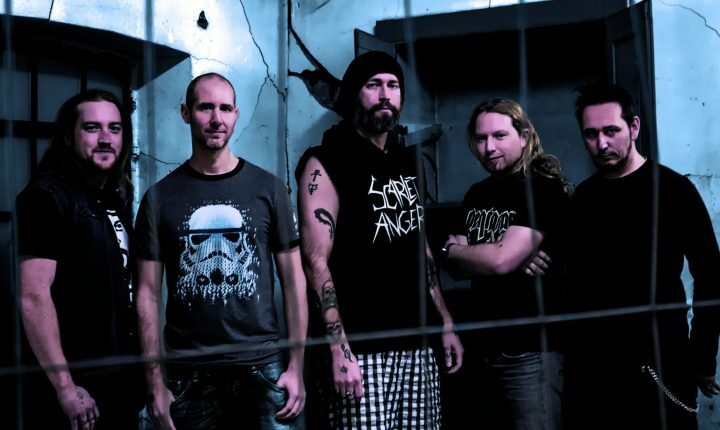 Scarlet Anger is a Luxembourgish Thrash Metal band, founded in 2007 by vocalist Joe Block and guitarist Fred Molitor. Their first gigs were followed quite quickly by the release of a first EP, called „La Realidad Es Triste…“, whose successor „Kill The King“ made the band noticeable on an international level for the first time. Being more aggressive and fast than its predecessor, „Kill The King“didn’t just earn a lot of critical acclaim but also gained the attention of the German label Dust On The Tracks. This led to a worldwide record deal for the first album „Dark Reign“, which was mastered by Jeff Waters and released by Dust On The Tracks Records in May 2012. Scarlet Anger presented their new album on numerous small and established festivals like the Durbuy Rock Festival and the Extremefest. In between their shows, Scarlet Anger started gathering first ideas for the successor to „Dark Reign“. Classic eighties and nineties comics and horror stories served as their main inspiration for what would later become their second album „Freak Show“. Mastered by Jens Bogren, the new album has a more melodic approach. It will be released on March 18th 2016 via Hänsel & Gretel / MIG Music.